It is easy to use and very good. It is better if memory is attached. This review is about item#40414053. It is easy to split into two pipes and it is easy to soften even for bending. I like it. In the past we ordered set items and made it in time. Considering the cost, I ordered scrolls this time, but I came from INOAC and the quality was certain. I will also use it. The site was able to be constructed securely with quick delivery. 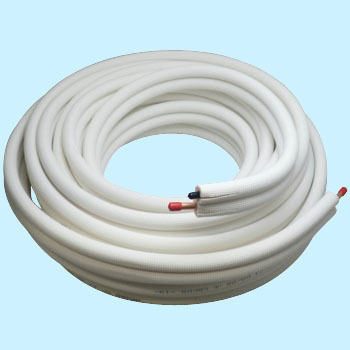 Used in air conditioning construction. It does not change to what I used to date. I received the maker 's INOAC because there was no stock of PB. It does not seem to be a problem.